Nashville’s Musicians Hall of Fame and Museum will soon find a new home in a historic music venue when it moves into the Municipal Auditorium at the beginning of next year. The Hall of Fame opened in 2006 and used to be located in the heart of downtown Nashville. It is different then any other venue in the city as it encompasses all genres of music and focuses on the musicians who play behind the scenes. It was demolished in 2010 to make room for the Music City Center. According to WKRN-TV Nashville the move will coincide with the Municipal Auditorium’s 50th anniversary next year and developers believe it will help boosts Nashville’s brand as music city. 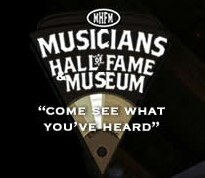 The arenas new name will be The Musicians Hall of Fame at Nashville Municipal Auditorium.